Proposition 64–the legalization of recreational use of weed in California–goes into effect starting January 1, 2018. This means anyone over the age of 21 can legally buy recreational weed in California. But here’s the catch, only shops with both local permits and state licenses are allowed to open their doors to sell recreational cannabis. But if you’re in Los Angeles, you’ll have to wait a little longer. The city won’t begin accepting applications to sell recreational pot until January 3rd, meaning it could be weeks before any approved shops can be open for legal sales. So if you’re an Angelenos looking to celebrate alongside all of California, head over to a neighboring city like San Diego where dispensaries are already up and running. Or just wait a few weeks for Los Angeles to join in on the fun and you won’t even need to travel. Here’s where you can legally buy marijuana statewide. Just because some dispensaries are opening up soon, buyers should be aware that the early stages might be a little different than anticipated. Due to the 2017 California wildfires, buyers should prepare themselves for limited amounts of product availability and increased prices. Until local supply sources stabilize, buyers will find lowered inventories and premium costs in the meantime. Lack of tight regulation also means potentially tainted pot. The legalization timeline has only been in play for a year, short from a government standpoint to create and uphold new laws. Many suppliers and shops will be allowed to sell their current products as-is, without passing strict tests for possible pesticides and contaminants (these products will be labeled as “Not tested”). But fear not, plans for 100 percent of marijuana grown starting January 1, 2018 will be required to pass all safety and potency tests. Another pot hurdle to consider is the uprising of the black market. 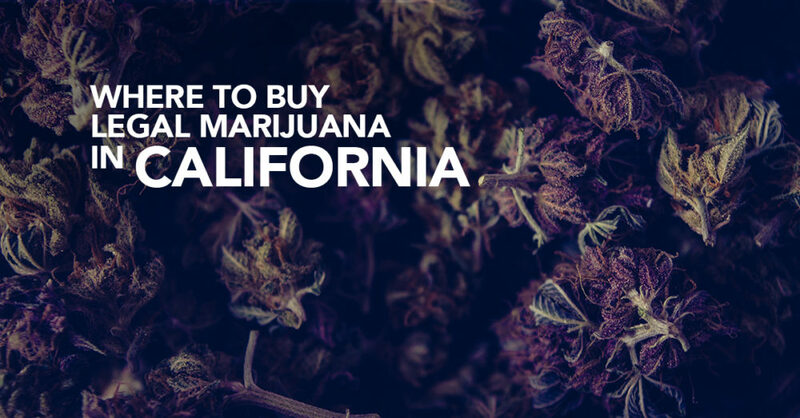 According to the Los Angeles Times, “State and local taxes on marijuana could surpass 45% in some parts of California, jeopardizing efforts to bring all growers and sellers into a state-licensed market in January.” This means that legal markets are sure to be higher priced compared to the black market, thus driving some of the supply and demand to shift from dispensaries to street pot. Recreational weed is here in California and depending on where you’re at, ready for purchase in your local area. But with it comes factors to consider. Buyers should prepare themselves for smaller inventory, higher prices, possibly tainted products, and a potential surge of black market cannabis. While these considerations are a bit of a bummer, it’s important to recognize that legalization is real and it’s here. Once these issues get ironed out, Californians can expect many benefits like increased taxes that go back to the community, increased tourism money, and so much more once the dust settles. Because CBD eliminates the negative effects of THC such as memory impairment and paranoia, doctors recommend it for medical use appropriate for patients of all ages. The non-psychoactive properties produce minimal side effects and does not produce potential for lethal dosing. Is CBD right for you? If you could benefit from any of the below medical aids, then ask your doctor about a possible CBD course of treatment. Because CBD is recommended for medical use as opposed to recreational use, the consumption methodology leans towards easy intake, making it suitable for children and sufferers of decreased mobility. Rolling a joint with limited dexterity doesn’t exactly sound appealing right? CBD is like the younger, hotter sibling of THC. It’s fresh and it brings something new to the table. With its healing effects minus the psychoactive results, it’s a favorite of doctors, parents of ailing children, and pain sufferers alike. Even if you’re just looking for a relaxing way to dull the pain after a long hard day, CBD may be the perfect solution for you, too.